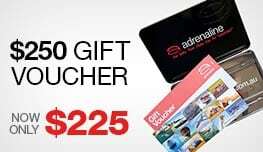 Try the most exciting new experiences in Australia! 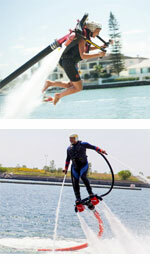 The Jet Pack & Jet Board Experiences are awesome, safe adventures and almost anyone can do it with minimal training. 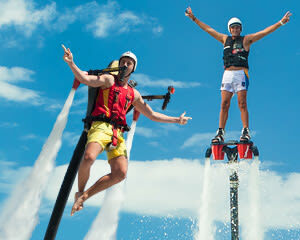 Experience one of the most thrilling new adventures available in Australia today - Jet Pack or Jet Board! Choose which adventure on the day. Jet Pack or Jet Board? You decide! 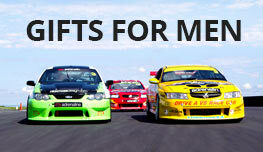 Try one of the most exciting new experiences in Australia! The Jet Pack Experience is an awesome, safe adventure and almost anyone can do it with minimal training. The jet pack unit blasts hundreds of litres of water through specially designed thrust nozzles to make you effortlessly fly above the water like James Bond! Or would you like to try the Jet Board! Minutes into your flight you will be comfortable enough to start reaching heights of up to 10 metres and able to perform figure eights, surface cruises and carve left and right in midair! Whichever you choose, your instructor will be in constant communication and the power output of your jet pack is controlled by your instructor. Spectators welcome - the more the merrier! On rare occasions, choice may be limited to one device (either Jet Pack or Jet Board) if mechanical breakdown occurs. You may choose to undertake the available device (either Jet Pack or Jet Board) or reschedule to attend on another later day if your choice is unavailable. The guys were great and it was a fun experience. The guys at Mt Penang were brilliant with us in every way from providing excellent instructions through to being friendly, encouraging and most of all, patient:)...it was a great experience added to by the staff involved.